Ex-MK Ben-Ari's party backs one-state, calls to save 'wasted' votes of right abstaining after being disenfranchised by Bennett. Members of former MK Dr. Michael Ben-Ari's Otzma Yehudit (lit. Jewish Strength) party met in Jerusalem on Friday morning, and decided to officially announce the party will be running in the upcoming March 17 elections. "In days of a loss of direction our voice must be heard in every situation and every incident," the party announced. "In the last term there was a feeling that there wasn't true representation for the right-wing." Now, the party will be running again to "take back the right" as it were, charging that there has not been ideological representation for the religious right-wing in the government. While Jewish Home charged Otzma Leyisrael with "wasting" votes in the last elections, Otzma Yehudit argues the opposite is true. Ben-Ari previously informally announced the party would run on Facebook, at the time criticizing Bennett for not representing strong right-wing religious Zionist values in the Knesset. The former MK has slammed Jewish Home for remaining in the coalition even as Arab terrorists were released as a "gesture" for peace talks, an unprecedented move in Israel, as well as the current completely unofficial building freeze which is also a first. On Friday, Ben-Ari posted a new image with an apparent party slogan on his Facebook page reading "those on the right vote Otzma Yehudit! Autonomy? Two states? There's Meretz for that. One state - Otzma Yehudit!" The slogan is a jab at Bennett, whose announced national plan has been to give full autonomy to the Palestinian Authority (PA) in the disconnected array of blocs of Areas A and B in Judea and Samaria, while giving citizenship to Arab residents of Area C. The plan would also have Israel remove all security checkpoints to grant Arab residents free movement - it has received harsh criticism, with security expert Martin Sherman, head of the Israel Institute for Strategic Studies, prime among its critics. Otzma Yehudit will run either independently or together with another party, such as ex-MK Prof. Aryeh Eldad's Hatikva faction. 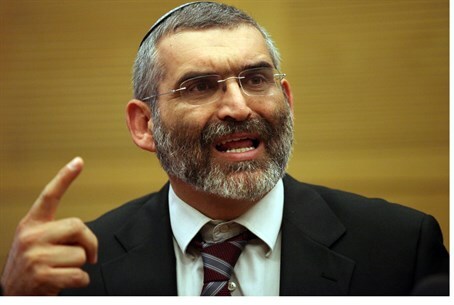 Eldad ran with Otzma Leyisrael in the last elections, but reportedly is not considering a comeback after having served many years in the Knesset. Members of the party's secretariat gave Ben-Ari, activist Baruch Marzel and Attorney Itamar Ben-Gvir the authority to manage negotiations on the party entering as a "technical bloc" that could join other parties in a joint campaign, or else run independently. Otzma Yehudit intends to hold a press conference soon to unveil its campaign and official election slogan that will accompany it throughout the push to elections.